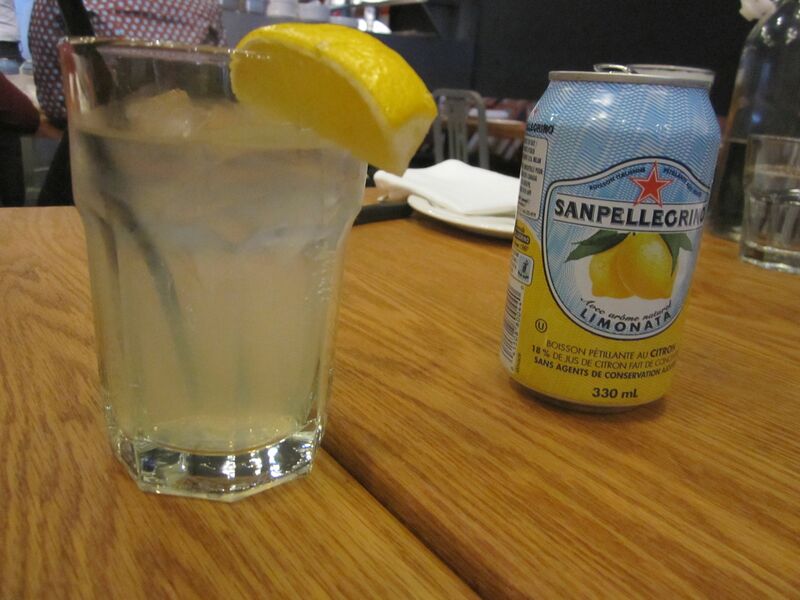 Our table started off with San Pellegrino Limonata’s, and a Birra Moretti, all incredibly refreshing. Of their house cocktails, we gravitated towards the Arancione, which was composed of gin, bitters, and Triple Sec. It had a lovely orange flavor that went down smooth. 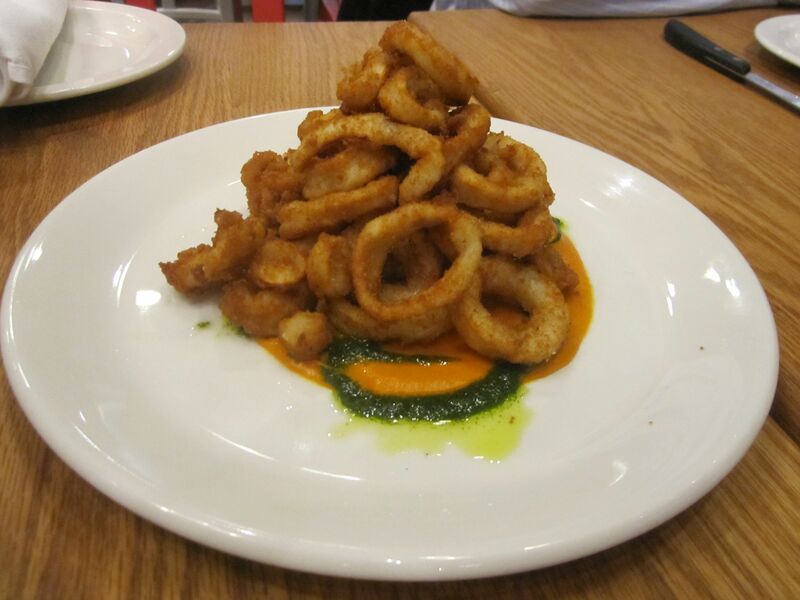 Both Ossington and Dundas locations have had Calamari as a staple on their menu for a while, and for good reason. These tiny little rings of heavenly goodness hot out of the fry basket were crispy and tender, and served on a blanket of Romesco sauce. This emulsion of red peppers and almonds totally won us over, providing the perfect amount of acidity to contrast the sweetness of the calamari. Up next were the Arancini, probably the most mind blowing dish of the night. 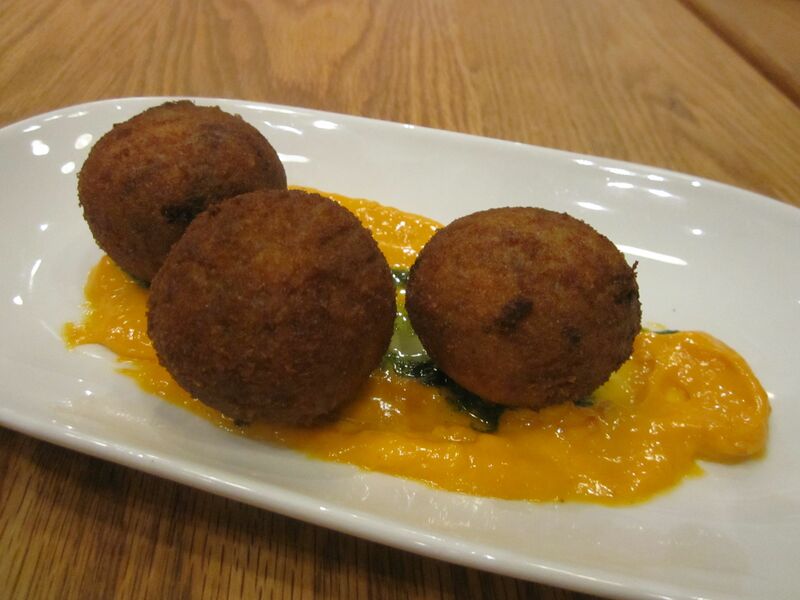 Stuffed with braised lamb neck, tomato, mozzarella and mint, breaking into these hot fried rice balls was what dreams are made of. The fritters were crispy on the outside , yet luscious and gooey towards the center where the lamb was so tender, it was almost indistinguishable from its shell. The accompanying Bomba Aioli had me wondering why Libretto hasn’t started selling this stuff in jars. Yes, it’s that good folks. My least favourite appetizer of the night was the Porcini Agnolotti. This dish was described as stuffed pasta with pecorino béchamel, mushroom brodo, and celery root puree. I love the flavor of Porcini, but I felt like it got lost amongst everything else going on in the dish. 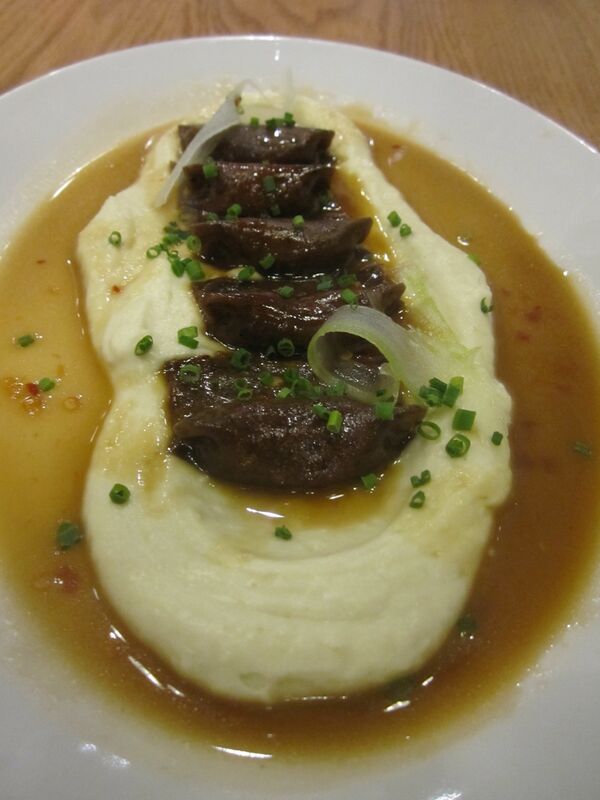 Namely the celery root puree, while delicious, did not allow me to explore all the other flavours described. I think with a bit of finessing, this has the potential to become something spectacular. Onto the pizzas! The pizzas here are cooked for a mere 90 seconds in a certified VPN oven from Naples, which reaches temperatures of 900 degrees+. This makes for a crust that is light, airy, and slightly charred and a center that is slightly moist. With three of us at the table, it was only right to order three to taste the spectrum of their offerings. 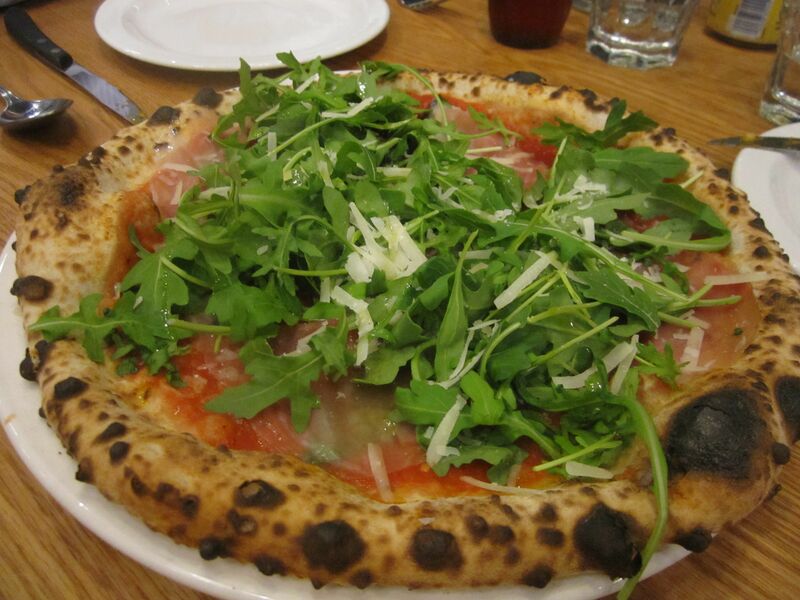 Time and time again I have gravitated towards the Ontario Prosciutto and Arugula (Pictured above). Libretto creates a real symphony amongst the sweetness of the tomato sauce, the bitterness of the greens, the saltiness of the prosciutto, and the nuttiness of the Parmigiano Reggiano. Four adjectives in one sentence? Yup, they’ve got something special here. 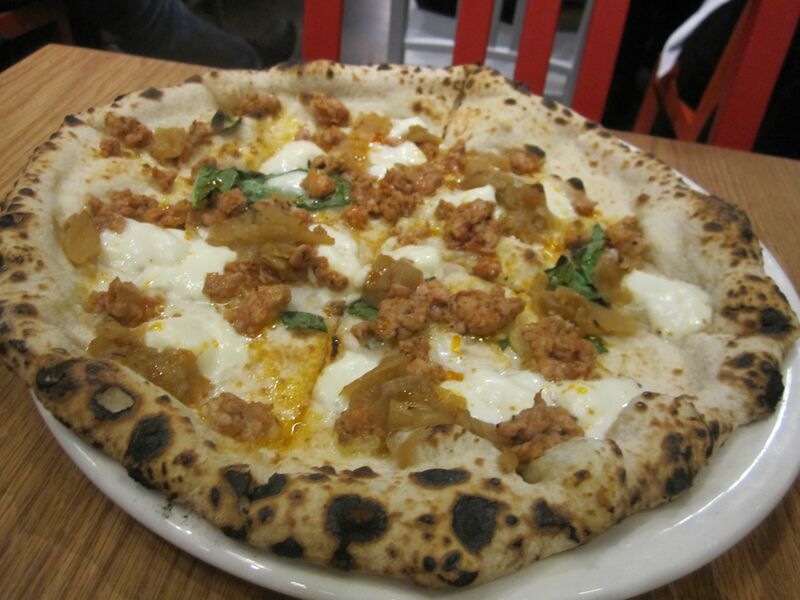 The Housemade Sausage was scented with fennel, and scattered with helpings of caramelized onions, mozzarella, and a side of chili oil to boot. Really great flavours all around. 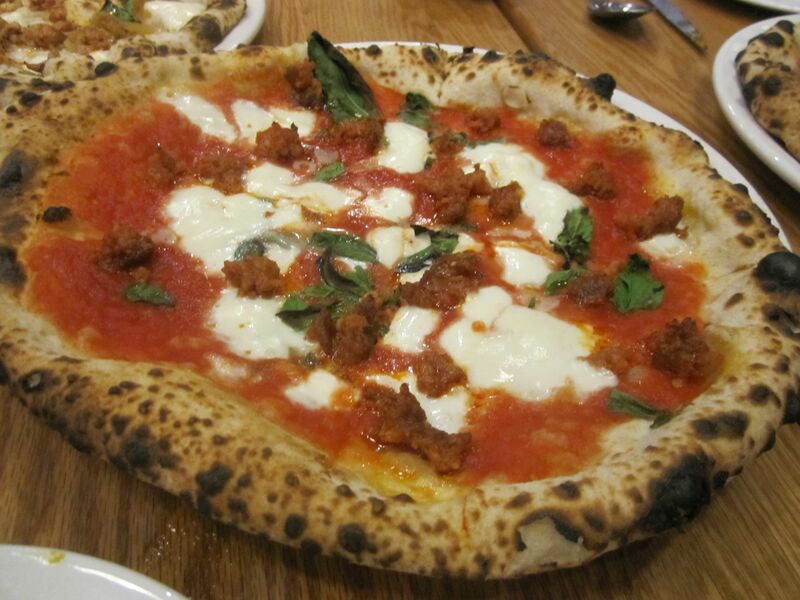 Word on the street was that the Nduja pizza was a must order. Nduja is a pork based sausage similar to Spanish Andouille. It had a lovely smoky and spicy flavor, and a fatty unctuousness that lingered on my palate. So, so good! The thing I love about Libretto pizzas are that they are works of art. Ingredients are thoughtfully strewn over each pie to create a composite that is balanced. While a slice here or there might have more of one ingredient than another, it is all in an effort to help you explore and discover the complexity of each pie. Pizzeria Libretto Danforth is located at 550 Danforth Avenue, Toronto.